We have some BEAUTIFUL sunshine here in Needham Market today - just gorgeous! And I have woken up feeling a little better today. Going to Natalie's (my upline) training on Sunday has taken me two nights to get over! So this morning I have photographed my 'swap' (above) and a selection of the other girls' 'swaps' to show you. For those that aren't in the know 'swaps' are a small project or card front that we take to events to literally swap with each other. Not only are these swaps lots of fun to do (and hand out) but they also serve to give each other ideas and another style of project to add to displays at classes or shows or craft fairs. 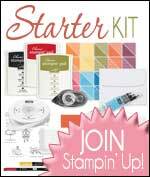 Going to events and training is another great benefit of becoming a Stampin' Up! demonstrator - it really is a special family with a real sense of community spirit. Click here to read more about joining up. The Stampin' Supplies for my projects are listed below in the ticker as normal. This gorgeous little box (made with the All Boxed Up Kit) had a gorgeous little chocolate rabbit inside (yum yum!) - thanks Fiona! I love this rabbit! And it was made so simply with a selection of punches, some Designer Series Paper and some Fringe Scissors. It was filled with chocolate mini eggs (yummy!). Love this little card! And love the little rabbit which can be found in the Made With Love stamp set. 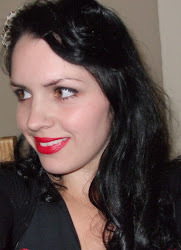 Thank you for putting my first ever swap on your blog. I was apprehensive as to whether it was good enough as I had limited SU stock.I was reassured by Sarah Lower that it was perfect and how lovely the group of ladies you are all.She was so right I felt very welcome.